Important tourist centers are Kolkata, Digha (Midnapore), Bakkhali Sea Resort, Sagar Island and Sundarbans (South 24 Parganas), Bandel, Tarakeswar, Kamarpukar (Hooghly) and Gadiara (Howrah), Shantiniketan and Bakreshwar (Birbhum), Durgapur (Burdwan), Mukutmanipur and Vishnupur(Bankura), Ayodhya hills (Purulia), Murshidabad, Gour and Pandua (Malda), Darjeeling, Mirik, Kalimpong, Sandakfu and Falut and Kurseong (Darjeeling), Jaldapara and Dooars (Jalpaiguri). located in the heart of Esplanade. The panoramic view of the city from the top of the monument is really captivating. With 218 steps, this 52 meters high monument consists of a combination of Egyptian base, Syrian column and Turkish copula. Headquarter of Ramakrishna Mission Ashram, founded by Swami Vivekananda. It's an architectural amalgam of the church-mosque-temple, signifying the message of universal brotherhood. It is the largest planetarium in South-East Asia and the 2nd largest planetarium in the world. Located at the top end of Chowringhee, the only planetarium in the country, whose dome houses a collection of projectors and optical equipments. The world famous poet Rabindranath Tagore was born and died in this house. It is the headquarter of Rabindra bharati University, a famous center for the study of the Indian Arts. There is a museum too in memory of the great Tagore family. 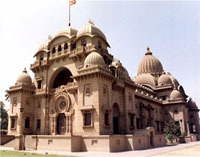 India's largest library; contains huge collection of rare books and manuscripts. This fort was built in the period 1696-1702 by the British East India. In 1756 the fort was taken by the Nawab of Bengal, Siraj-ud-dullah. In 1757 East India Company regained their power and demolished this fort and later reconstructed it. 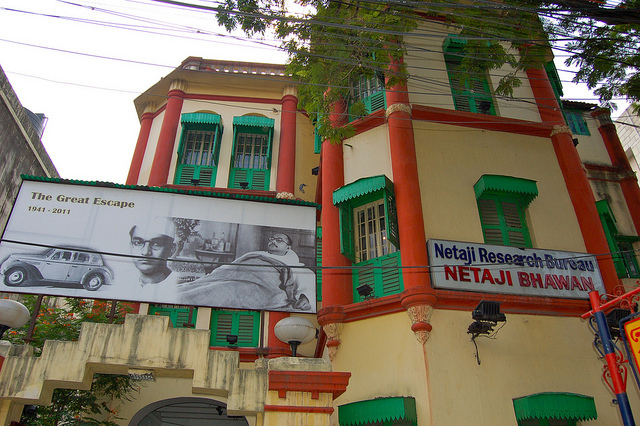 Where Netaji Subhas Chandra Bose lived and worked. His personal belongings are on exhibition here. the oldest museum in India and one of the most comprehensive museums in Asia; the archaeology and numismatic sections contain the most valueable collections. It is a great entertaining place for the children, located at Chowringhee Road (now it is Jawaharlal Nehru Road). The stories of the Ramayana and the Mahabharata have been depicted nicely with the help of the animated dolls. Some science models are also on exhiibition; must see for the kids. 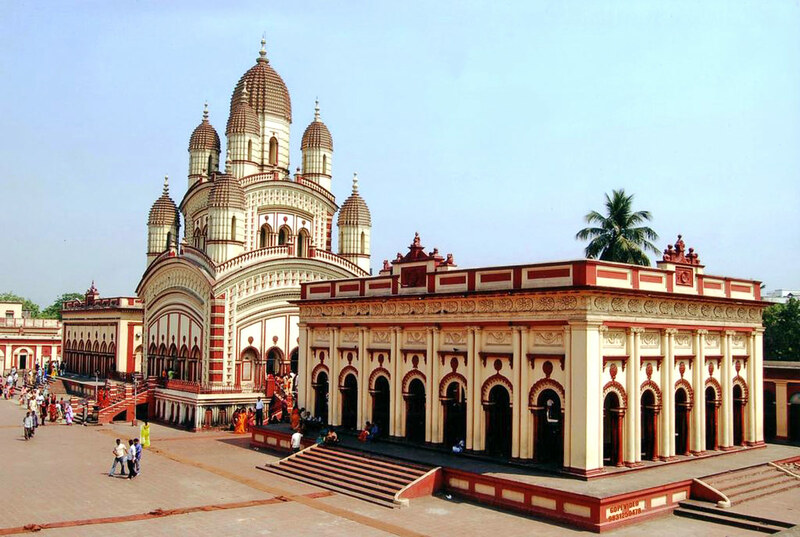 Maintained by the University of Kolkata; housed lot of exhibits on the folk art of Bengal. World's first floating museum , located at the "Man-o-War" jetty. The garden was founded in 1787 by the East India Company and formerly known as Royal Botanic Garden. Spread over more than 270 acres and more than 1700 plant species can be found. It is famous for its huge collection of bamboos, orchids, palms and the plants of screw pine genus. The Central National Herbarium of the Botanical Survey of India is here and has around 2500000 dried plants in its collection. Its famous for its Terracotta temples and horses. The town is surrounded by old forts and has 15 temples. The Dhrupad school of Indian Classical music was founded here during 16/17th century under the royal patronage. Laid in 1876, extending over an area of 16 hectares, it has considerably large collection of animals. White tiger, tigon ( a hybrid between tiger and lion), the reptiles, Royal Bengal. During winter, the migratory birds comes from all over the world are the special attractions. Digha Beach- It's a romantic holiday beach on the Bay of Bengal, 183 km from Kolkata. It houses Asia's biggest marine aquarium. Digha offers an enchanting view of the sunrise and sunset. The sea is calm and shallow for about a mile from the beach, making it quite safe for swimmers. Darjeeling, centre of India's most celebrated tea growing district. Outside the monsoon season (June to September), the views across the snowy peak of Kanchenjunga and other mountains down to the swollen rivers in the valley are, simply magnificent. There is a toy train, which you can take a ride from Jalpaiguri to Darjeeling through the steep mountainsides. Located in the Ganga delta in West Bengal, boarders the Hooghly in the west and Teulia river in the east, Sunderbans was declared a National Park in 1984. 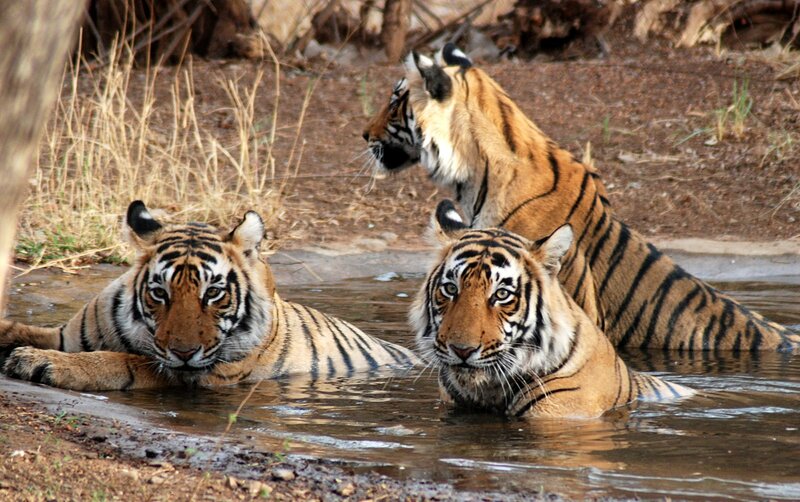 It houses the magnificent Royal Bengal tiger, the park holding more tigers than any other tiger reserve. More than 400 tigers were recorded during the mid-1980s. Crocodiles and the Gangetic dolphin are to be found aplenty in the Raimgangal river. The Sajnakhali sanctuary, famous for its rich avian population, is considered as a part of the Sunderbans National Park. It is famous for its mangoes. Gaur- ancient capital, remains of Muslim rule, and houses numerous ruins of mosques. Perhaps the only university of this kind in the world, was the brain child of the great genius Rabindranath Tagore. This open air International University has emerged as a universal centre of excellence for scholars and students of Oriental culture. Despite a distinct slant towards humanities and performing arts, the university also has an excellent faculty for post graduate and research studies in science. There's a deer and bird sanctuary nearby. This reserve forest was founded in 1941 mainly for the protection of the great Indian rhinoceros. Located 121 km. from Siliguri and 12 km. from Ha(n)samara and covers an area of 100 sq. km. It gives home to various animals like rhinos, swamp deer, sambar, tiger, leopard, wild elephant, peocock, jungle fowl, quail, pig, hog deer, barking deer etc. Elephant safari is available for visitors. There are 33 rhinos in this sanctuary, as per the cencus count in 1992. 48 km. from Kolkata; a nice picnic spot. The light house and the ruins of the ancient Portuguese fort are the special attractions.